Tyntyndyer (Tyntynder) Homestead, including the homestead building, store and cellar building, shed and the grave of Andrew Beveridge. 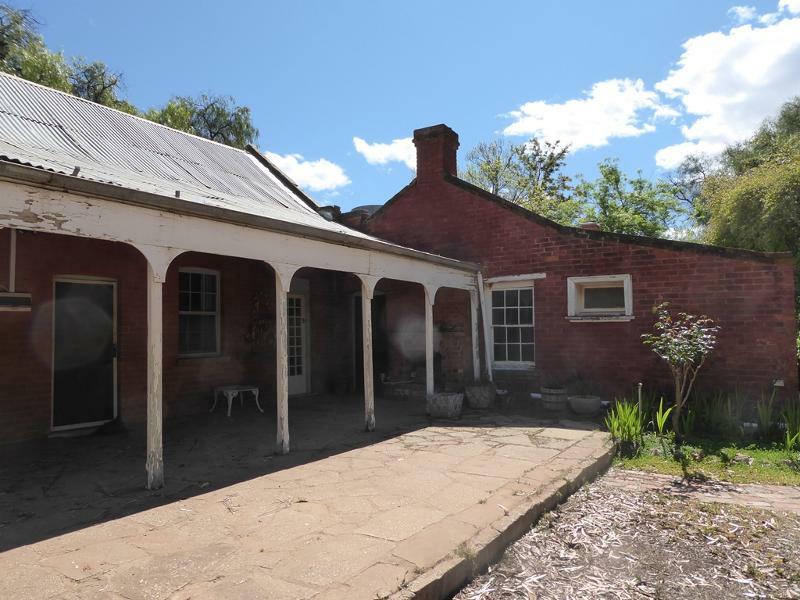 Brothers Andrew and Peter Beveridge travelled to the far north-west of Victoria in 1845 and established one of the first European settlements on the Victorian side of the Murray River at Tyntyndyer (Tyntynder) Homestead. A third brother, George, who followed, established the nearby station Piangil where Andrew was killed by Aboriginal people in 1846, allegedly over stolen sheep. The resulting Melbourne trial of three Aboriginal people, Bobby, Ptolemy and Bullet-eye, and the public execution of Bobby and Ptolemy, was a significant event demonstrating the tensions and conflict of the period. Following this event the Beveridge parents and three other brothers joined those at Tyntyndyer (Tyntynder) from 1847 to 1853. Tyntyndyer (Tyntynder) Homestead was developed from 1846 with construction of a drop log homestead building that year. In 1854 brick additions were made to this homestead and a brick store and cellar building were constructed. Peter Beveridge remained at Tyntyndyer (Tyntynder) until the late 1860s and developed a keen interest in, and an extensive knowledge of, the Aboriginal people of the region. He learnt their languages and customs and employed large numbers of Aboriginal people on his property. He wrote extensively on Aboriginal customs, becoming well known on the subject by the late 1860s. His knowledge and insights became important to Europeans' understanding of the Aboriginal people in the region, and became influential in anthropological circles. During Peter's occupancy, Tyntyndyer (Tyntynder) was used as an Honorary Correspondent Supply Depot for the distribution of government rations to the Aboriginal community from 1863 to 1866. In 1876 the Tyntyndyer (Tyntynder) pastoral run was sold to the Holloway family and successive generations retained ownership for 120 years. The property, much reduced in extent, was set up as a house museum and opened for guided tours by the owners from the 1960s for a period of time. 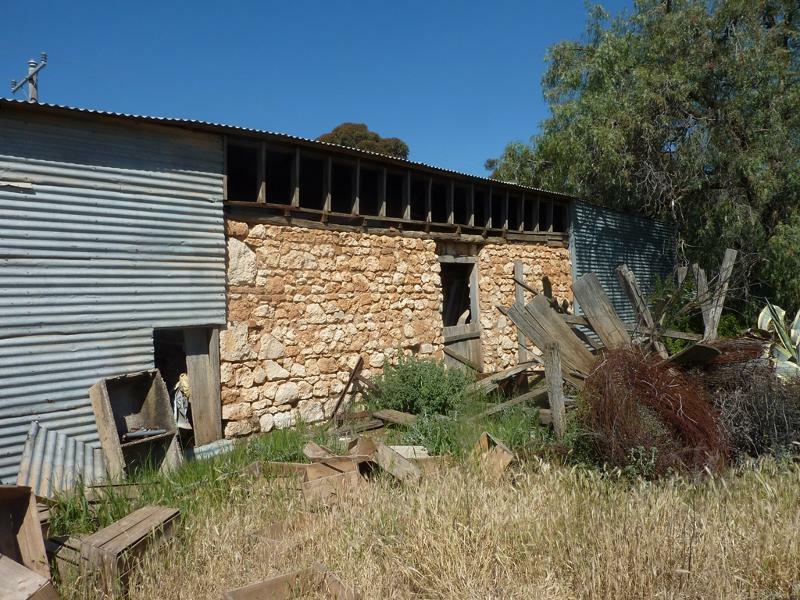 In 1996 the Tyntyndyer (Tyntynder) Homestead property, including the buildings and their contents, was purchased by the Indigenous Land Council on behalf of the Aboriginal community. 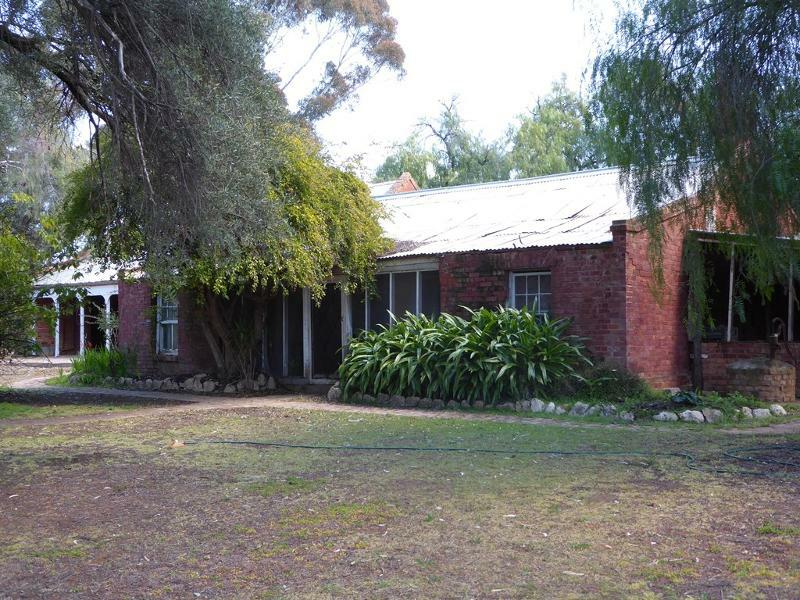 Tyntyndyer (Tyntynder) Homestead is situated on a sandy rise south of the Murray River to the north of Swan Hill and consists of a number of buildings and structures relating to its use as a sheep station and later as a tourist facility. The original section of the Tyntyndyer (Tyntynder) Homestead was constructed as a simple gabled, two-roomed building using drop log construction and Murray pine sapling rafters covered with timber shingles. This building was encased in brickwork in c1850s, however part of the log construction remains visible in the interior of the building. In 1854 a brick addition, with similar roof construction, was made to the south, more than doubling the accommodation of the original building. A verandah to the east faced the river and a terraced garden which was developed with various trees and planting. Corrugated galvanised iron covers the original shingled roofs of the homestead. A separate building, originally containing a cellar, storeroom and men's quarters, was constructed in 1854 and this was converted for use as a school room, tutor's room and bedroom during Holloway family ownership. This building is of simple gabled brick form with sapling rafters and corrugated galvanised iron roof. Other farm buildings were constructed at Tyntyndyer (Tyntynder) over a period of time and some of these have been demolished. Those that remain include a shed which incorporates a portion of limestone wall from the blacksmith's building. A number of additions to the homestead, particularly to the west and north, a notched log building and buildings to the north of the homestead were constructed in the late 1960s-70s. 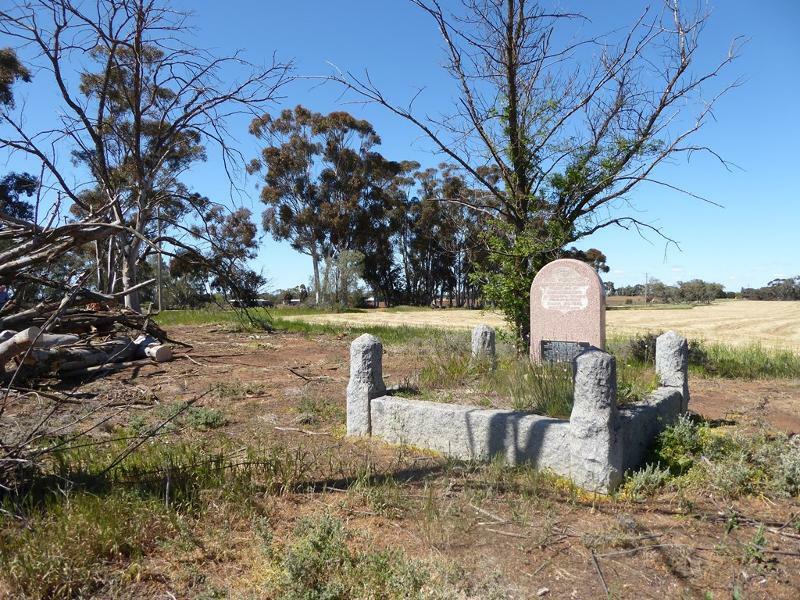 Andrew Beveridge's grave lies to the south-west of the homestead. The original headstone and surround been replaced, however the original broken inscription plaque is fixed to the grave. The site is part of Wadi Wadi country. The remnants of nineteenth and twentieth century landscaping, trees and plants all contribute to an understanding of the development of Tyntyndyer (Tyntynder) Homestead. The homestead complex is on a sandy rise and is surrounded on the north, west and south sides by a Pepper Tree windbreak, totalling eighteen Schinus molle trees. The main garden features three terraces on the east side and is planted with two Olea europaea trees, a rare Justicia adhatoda, (Malabar Nut) and, on the central terrace, five Washingtonia filifera formally planted along the main path, and two Phoenix canariensis. The lower eastern terrace was planted as an orchard, of which only a Fig tree now remains. All of the place shown hatched on Diagram 2353 encompassing all of Lots 1 and 2 on Title Plan 857530, all of Lot 1 on Title Plan 663844 and all of Lot 4 on Lodged Plan 10404. The Murray River, which formed the northern border of the Port Phillip District (later the Colony of Victoria), was named in 1830 and Swan Hill was named in 1836 by Major Mitchell. He stated that 'the soil in those grassy flats was of the highest description'. Land south of the Murray River was taken up in the mid-1840s by settlers in search of fertile farming land. Andrew and Peter Beveridge and James and Edmund Kirby were amongst the earliest settlers in the Swan Hill region of Victoria. In 1839 Andrew Beveridge, his wife Margaret, six sons and one daughter arrived in Port Phillip from Fife, Scotland and settled at Mercer's Vale (later Beveridge) south of Kilmore. The family were informed by prominent cattle breeder Robert McDougall that the north-west country of Victoria had great potential for cattle raising and in 1845 sons Andrew and Peter decided to drive a large herd of cattle from Melbourne to the Swan Hill district. 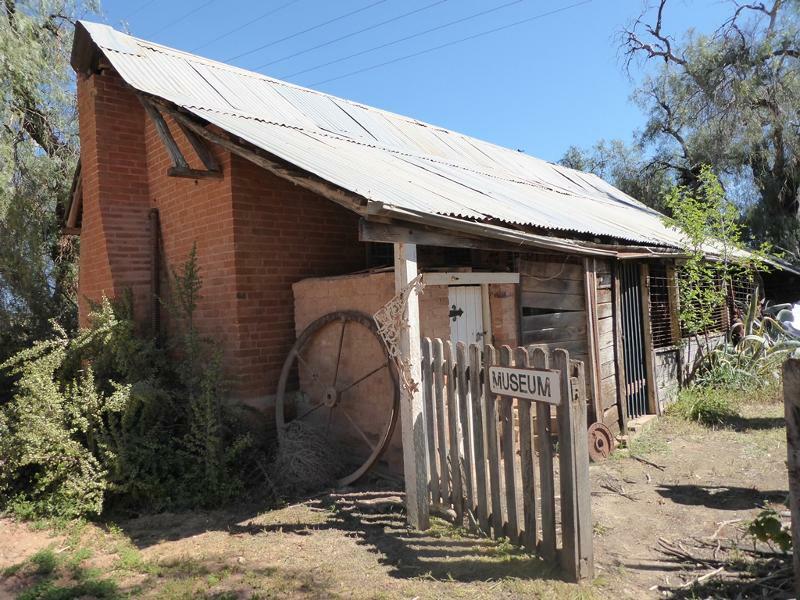 They established a cattle station at Beverford, 16 kilometres downstream from Swan Hill, and constructed a simple log homestead at the station they called Tyntyndyer (Tyntynder) in 1846. The name Tyntyndyer (Tyntynder) has become commonly referred to as a translation of the local Wadi Wadi peoples' term for 'the flight and twitter of birds'. According to L Kostanski in 'Spurious Etymologies: Toponymic Books and Town Name Identities of the Murray River', the name is a translation of the original name of the locality on the Murray River used by the Wadi Wadi people. Chief Protector, George Robinson, noted in his journal in 1846, that there was a tribe of Aboriginal people in the area, the Tindinee, who referred to the area as Tin.tin.dare.re, the translated meaning of which is 'acrid lichen'. A third Beveridge brother, George, brought flocks of sheep to the region in 1846 and took up a station named Piangil, about 24 kilometres beyond Tyntyndyer (Tyntynder). In August that year Andrew was killed at Piangil by Aboriginal people, allegedly after an argument over stolen sheep. His grave is located at the Tyntyndyer (Tyntynder) property, not far from the homestead. Following Andrew's death, his father, mother and brothers John, Mitchell and Robert, arrived to live at Tyntyndyer (Tyntynder) in 1847. It is reported that Margaret was the first woman of European descent to live in the Murray Valley region. In 1853 Andrew, Margaret and son Mitchell returned to live in Kilmore, while Peter, George and John were left to look after the property. Peter remained at Tyntyndyer (Tyntynder) until the late 1860s and George remained in the Swan Hill area for many years. John retained Tyntyndyer (Tyntynder) until it was sold in 1876. Ferdinand von Mueller passed through Swan Hill twice in late 1853 and early 1854. He was in the habit of staying with local squatters whenever possible so, although there is no written evidence, it is highly likely that he stayed at Tyntyndyer (Tyntynder) Homestead. In 1864 Mueller wrote to Richard Owen at the Natural History Museum in London on the reproduction of the platypus from information obtained by Peter Beveridge from the Aboriginal people. In this correspondence Mueller described Peter Beveridge as his friend. Beveridge's name was also recorded as a donor of plants in the Melbourne Botanic Gardens Annual Reports (1860-61, 1862-63 and 1864-65) by Mueller. In 1866 the Acclimatisation Society of Victoria thanked Peter Beveridge for three Mallee hens they had received. At its most productive the Tyntyndyer (Tyntynder) station carried 34,000 sheep, the produce of which (wool, tallow and hides) was shipped from the homestead landing on the Murray River by paddle steamer and barge. River boats such as the Clyde, Pride of the Murray, Invincible, Britannia and Trafalgar were recorded in the station record books. In 1876 the 792 hectare (1,956 acre) property was sold to George Holloway and his brother-in-law George Seward. A copy of the original letter of offer is included in the short publication by R G Holloway titled 'Tyntyndyer (Tyntynder) Homestead - a short history'. George Seward occupied the homestead until 1884 when the Holloway family moved to Tyntyndyer (Tyntynder) and George and Jane Holloway spent most of their remaining years at the property. Rothwell (Ross) Holloway inherited the Tyntyndyer (Tyntynder) property from his father and farmed it for some years before selling much of the land. 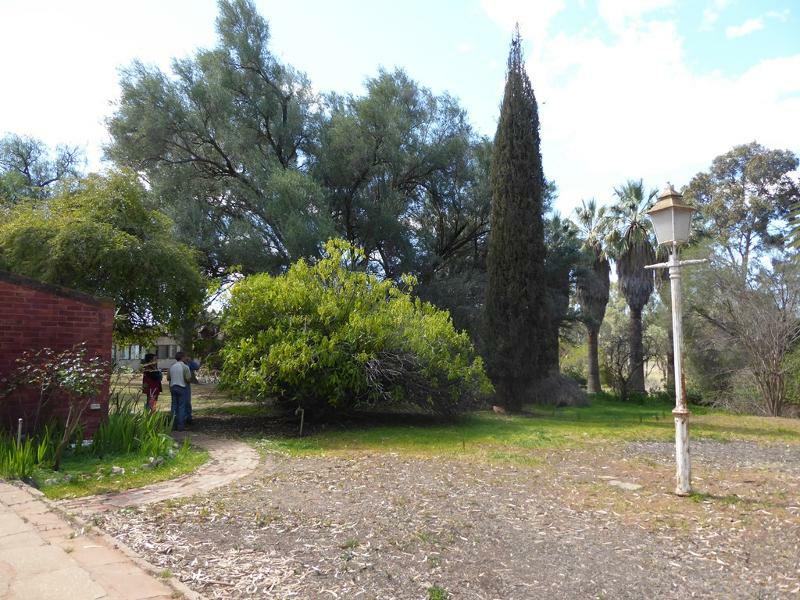 By the 1960s the property comprised about 40 hectares. In 1962 Ross and Patricia Holloway began guided tours of the property and the collections housed at the homestead. Tyntyndyer (Tyntynder) remained in the ownership of the Holloway family until 1996 when it was purchased by the Indigenous Land Council on behalf of the Aboriginal community. 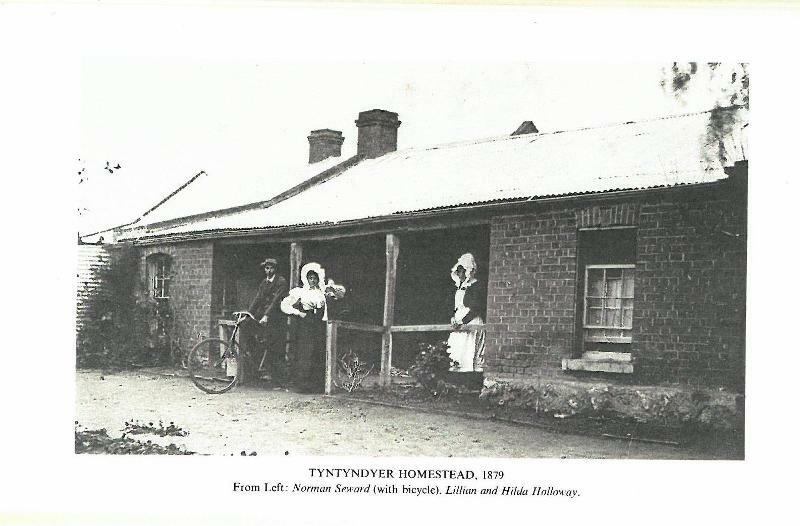 In 1846 a small and simple two-roomed homestead, built of drop-log construction, was constructed at Tyntyndyer (Tyntynder). Murray pine logs were set horizontally between grooved posts to form the walls and the gable roof was constructed of pine saplings with a covering of shingles (possibly bark originally). 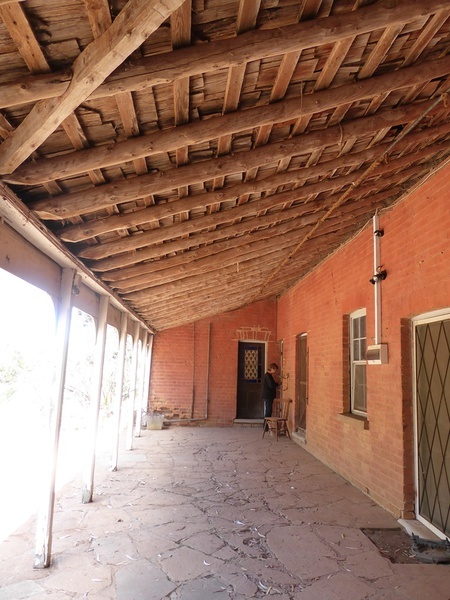 Pit sawn timber was used to line the ceilings and floors of this building that contained rooms 12 feet x 15 feet (3.7m x 4.6m) and 12 feet x 12 feet(3.7m x 3.7m). Some of the original log construction is visible internally and an early canvas ceiling remains. This log homestead was altered and enlarged over a number of years. In c1850 walls of handmade clay bricks were added to the exterior of the log homestead. In 1854 a solid brick addition was made to the south of the original building, with no access provided from the earlier section. At that time all access was via doors which opened onto a verandah along the east side of the building, facing a garden which was developed from this time. Ceilings and walls of this later section were of lath and plaster, roof construction of round Murray pine rafters and covered with shingles. In 1854 a separate brick building was constructed as storeroom and men's quarters with a cellar below. This was converted for use as a school room, tutor's room and bedroom during the Holloway family occupancy. A number of other buildings and structures have been erected at the property until recent times, and a number of structures and portions of buildings have been demolished. A report prepared by the Office of Aboriginal Affairs Victoria 'Tyntynder Homestead: Aboriginal cultural heritage values', May 2015 A Long & I Clark 'Victorian Honorary Correspondent Supply Depots, 1999. There was a clear and long association between the Wadi Wadi people (specifically the Targundidj or Tarkunditj clan) and pastoralists at Tyntyndyer (Tyntynder) station from 1846 until at least 1896. On the stations run by the Beveridge family, Aboriginal people at times comprised as many as one third of the workforce. Early relations between pastoralists and the Aboriginal people at Tyntyndyer (Tyntynder) were reportedly tentative, but based upon friendly economic exchange. However relations became violent in 1846 and resulted in the spearing of Andrew Beveridge at Piangil on 23 August 1846. It appears that misunderstandings arose regarding the right of squatters to hunt game and the Aboriginal people to hunt sheep and Beveridge was killed over these disputes. Three Aboriginal men, Bobby, Ptolemy and Bullet-eye, were charged with the murder and transported to Melbourne for trial. As reported in detail in The Australian, 9 March 1847, this trial resulted in the public hanging of Bobby and Ptolemy and the release of Bullet-eye. Until he departed from the district in the late 1860s, Peter Beveridge maintained a relationship, as a friend and employer, with Aboriginal people in the region following his brother's death. By securing the confidence of local elders, he was given opportunities to participate in Aboriginal rituals. During his time at Tyntyndyer (Tyntynder) Homestead, he acquired an extensive knowledge of the Aboriginal people of the surrounding areas and developed a keen interest in their culture and way of life. He became fluent in several Aboriginal languages and devoted much of the rest of his life to studying and writing on areas of Aboriginal life. He wrote extensively about Aboriginal people and in 1858-59 he reported that tribal groups along the Murray River averaged about 55 people each. He stated that the country of seven tribal groups extended north from Swan Hill along the Murray River for 193 kilometres (120 miles) to the Moornpal Lakes and including about 32 kilometres of country each side of the river. In 1866 he reported that about 104 Aboriginal people were under his care, occupying land on or adjacent to Tyntyndyer (Tyntynder) Homestead. In 1864 he stated that 'the condition of the Aboriginal people in this district has improved very much during the last year both morally and physically' and in 1866 in his 'Protection of Aborigines Report 5', he stated that rations for Aboriginal people in the district were inadequate, and requested the supplies be replenished annually. Peter Beveridge also wrote extensively about Aboriginal customs, dialects and diseases which afflicted the Aboriginal population. In his writings Beveridge expressed concern that the Aboriginal people were 'vanishing off the face of the land', quoting the estimated Aboriginal population of NSW and Port Phillip as decreasing from 5410 in 1845 to 2405 in 1853. He stated that action was required to retain this race of people. By the late 1860s Beveridge's work had become well known, and included a paper, read overseas to the London Anthropological Society, titled 'Aboriginal Ovens'. Peter Beveridge wrote The Aborigines of Victoria and Riverina, published in 1889, and a similar paper which was presented a few years earlier in 1884. In 1989 Dr Jan Penney stated that 'These two works are still the major source of our information about the mid-Murray Aboriginal people. They also tell us a great deal about Peter Beveridge himself and his relationship with the Wati Wati people who were his friends and employees'. A number of Peter Beveridge's handwritten manuscripts are held at the State Library of Victoria. The Tyntyndyer (Tyntynder) pastoral run, under Peter Beveridge, served as a depot in the Victorian Honorary Correspondent Supply Scheme (VHCS) from 1863 until 1866. This scheme was established in 1860 by 'The Central Board to Watch over the Interests of Aborigines' to supply provisions to Victorian Aboriginal people on a local basis and more than 90 depots were established in Victoria under this scheme. Honorary correspondents were appointed in districts where Aboriginal people lived, particularly in regions that were not served by a mission station or reserve. Their main role was to requisition and distribute basic supplies such as food, medicine, clothing and utensils to the Aboriginal people living in their neighbourhoods. They were also required to inform the Board about the lifestyles of the Aboriginal people and provide information about births and deaths and submit regular lists of those under their charge. As at Tyntyndyer (Tyntynder), many of the honorary correspondents had occupied their stations from the early 1840s and had forged positive relationships with local Aboriginal clans, with the younger men working on the stations. Buildings used to dispense government rations at these depots were often existing farm outbuildings or sheds. Beveridge reported in 1864 that 'a good store-house has been built at this station, in which the clothing and food provided for the Aborigines is kept.' It is not known whether a new building was constructed for this purpose at Tyntyndyer (Tyntynder) or an existing building was used, however it would appear likely that a brick storeroom that had been built in 1854 was used for this purpose. The closure of Tyntyndyer (Tyntynder) Station as a depot in 1866 saw an influx of Aboriginal people to the nearby Swan Hill Depot, which was also partly managed by Peter Beveridge. This depot operated from 1860 until at least 1904. Developed by the Beveridge family from 1846, this pastoral station demonstrates the earliest phase of settlement in north-western Victoria. It contains buildings which display early vernacular techniques such as drop log construction.
. Removal of non-original items such as air conditioners, pipe work, ducting, wiring, antennae, aerials etc and making good in a manner appropriate to the heritage fabric of the place.
. Installation or removal of non-original external fixtures and fittings such as hot water services and taps in a manner not detrimental to the cultural heritage significance of the place.
. Repairs and maintenance to hard landscape elements, such as walls, steps, edgings, fountain and pond.
. The removal or pruning of dead or dangerous trees to maintain safety. If the tree is identified as being of primary or contributory cultural heritage significance, the Executive Director must be notified of these works within 21 days of them being undertaken.
. Subsurface works involving the installation, removal or replacement of watering and drainage systems or services outside the canopy edge of significant trees in accordance with AS 4970 and on the condition that works do not impact on archaeological features or deposits.
. Cultivation, planting, cropping, harvesting, grazing stock, and other agricultural pastoral activities.
. Maintenance or repair or removal of any non-original fence, gate, dam or structure necessary for the continuation of agricultural or pastoral activities. 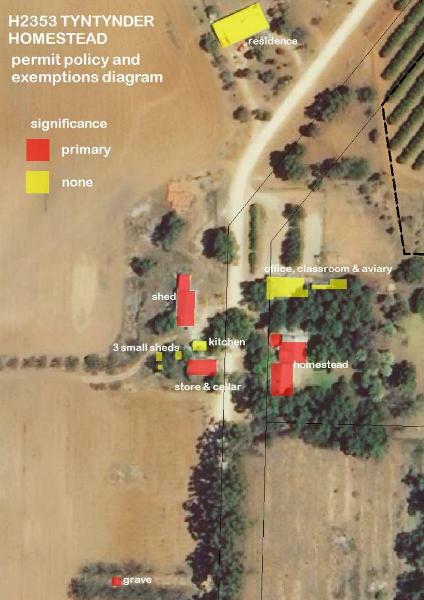 The extent of registration of Tyntyndyer (Tyntynder) Homestead in the Victorian Heritage Register affects the whole place shown on Diagram 2353 including the land, all buildings, roads, trees, landscape elements and other features. Under the Heritage Act 1995 a person must not remove or demolish, damage or despoil, develop or alter or excavate, relocate or disturb the position of any part of a registered place or object without approval. It is acknowledged, however, that alterations and other works may be required to keep places and objects in good repair and adapt them for use into the future. It should be noted that the addition of new buildings to the registered place, as well as alterations to the interior and exterior of existing buildings requires a permit, unless a specific permit exemption is granted. The removal of trees and earthworks require a permit. 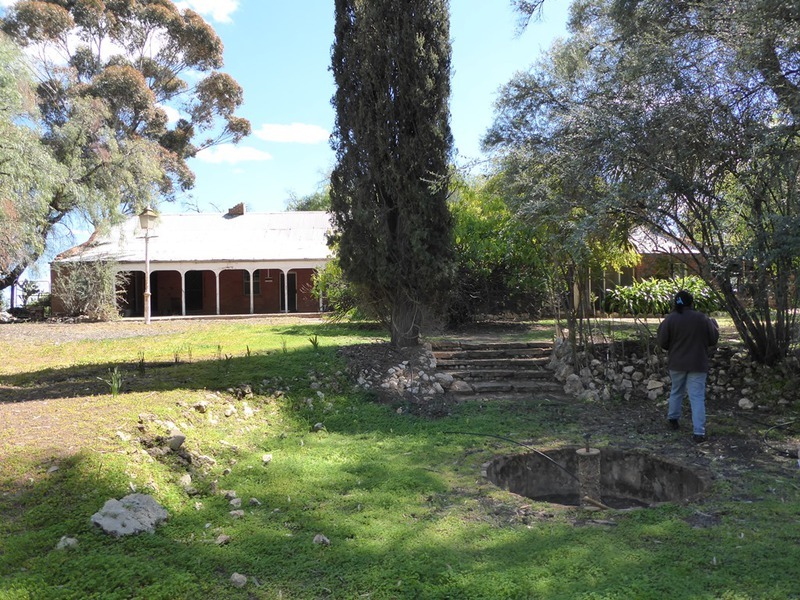 The cultural heritage significance of Tyntyndyer (Tyntynder) Homestead lies in its association with the early period of pastoral settlement in remote Victoria and the interaction that occurred there between Aboriginal people and European settlers. It is also an intact and fine example of early colonial vernacular architecture in Victoria. A permit is required for most works and alterations to the place. See Permit Exemptions section for specific permit exempt activities. Archaeological: Ground disturbance may affect the archaeological significance of the place and, subject to the exemptions stated in this document, requires a permit. It should be noted that any Aboriginal cultural heritage at this place is managed under the Aboriginal Heritage Act 2006. 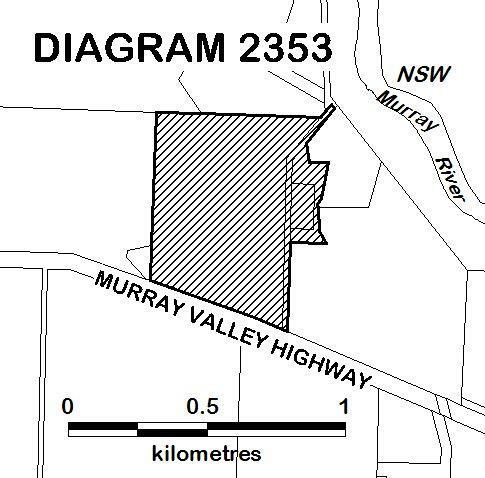 Land: All of the land identified in Diagram 2353 is of primary cultural heritage significance. If any suspected human remains are found during any works or activities, the works or activities must cease. The remains must be left in place, and protected from harm or damage. Victoria Police and the State Coroners Office must be notified immediately. If there are reasonable grounds to believe that the remains are Aboriginal, the Coronial Admissions and Enquiries hotline must be contacted immediately on 1300 888 544. As required under s.17(3)(b) of the Aboriginal Heritage Act 2006 all details about the location and nature of the human remains must be provided to the Secretary (as defined in the Aboriginal Heritage Act 2006).